Making Maps’s web site is here; there’s also a blog that serves as both FAQ and update log. John Krygier’s home page is here. 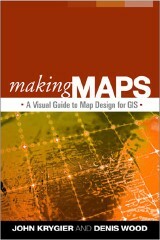 See other reviews of Making Maps at Cartography and Very Spatial. See previous entry: Book Review Roundup.